A lot of people, including @BayoumiMoustafa writing for the Guardian, are saying it’s racist not to call the Vegas gunman a terrorist. The argument is that if this were a black person, or a Muslim, they would have been labeled a terrorist immediately. The position is particularly specious given the amount of racism going around right now, but it’s a red herring for a very specific reason. Too many people are confusing terrorism with violence. Most terrorism is violent, but not all violence is terrorism. Here are three major definitions of the word. That one clearly calls out political aims. The use of violence or threat of violence in the pursuit of political aims, religious, or ideological change. This one again says, in pursuit of, meaning for a purpose. Premeditated, politically motivated violence perpetrated against noncombatant targets by subnational groups or clandestine agents. …and this one says politically motivated. So you don’t have terrorism just because you have violence. Terrorism is violence with a goal. If there’s no goal (and no message describing that goal) then it’s not terrorism—no matter how horrific. The reason Muslim violence is often called terrorism is because Muslims who commit said violence often directly attribute their actions to their religious beliefs, e.g., by saying, “Allah Akbar” before or while executing bombings, stabbings, and shootings. This point has been validated by ISIS demanding all suicide bombers write their motive on pieces of paper so that everyone will know it was for Islam and for ISIS. That’s a message (we’re doing this in the name of God). That’s a goal (we will defeat the infidels). That’s terrorism. 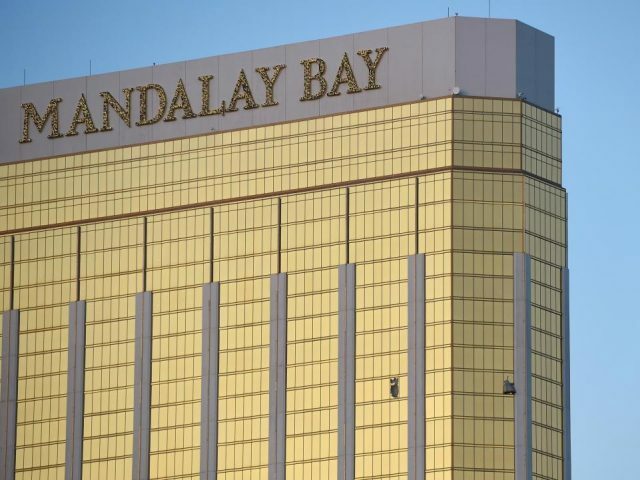 If the Vegas shooter had done what he did in the name of a racist movement, or anti-government, or religion, it would have been terrorism as well. Dylan Roof, for example, was absolutely a terrorist because he had a racist ideology (complete with manifesto) and his actions were in line with that ideology. But so far we have nothing of the kind from Vegas. Mar 25, 2018 — Let’s add the Austin bomber to this list as well. This is a person that was likely damaged by fundamental Christianity and home schooling, but he doesn’t appear to have been carrying out a manifesto, someone’s orders, or even trying to communicate a message. Terrorism is designed to change behavior, and if you have no message then you’re not committing terrorism. What was the Vegas attacker telling us? Don’t listen to country music? Don’t go to Vegas? It so far seems that there was no message, and that means—no matter how horrible it was—it cannot be considered terrorism. So the next time this happens, and you’re inclined to get upset because something is not being labeled terrorism when it should be—ask yourself a simple question: Was there a political goal or message being furthered by the attacker? If not, you just have violence. That doesn’t mean it’s less bad. It doesn’t mean we don’t look for a cause. It doesn’t mean we don’t try to prevent it from happening in the future. But it does mean that we don’t have terrorism, and therefore that we don’t have to worry about others doing the same thing, in the same way, in order to further that cause.